The widely used meteorological drought index, the Standardized Precipitation Index (SPI), basically assumes stationarity, but recent changes in the climate have led to a need to review this hypothesis. In this study, a new non-stationary SPI that considers not only the modified probability distribution parameter but also the return period under the non-stationary process was proposed. The results were evaluated for two severe drought cases during the last 10 years in South Korea. As a result, SPIs considered that the non-stationary hypothesis underestimated the drought severity than the stationary SPI despite that these past two droughts were recognized as significantly severe droughts. It may be caused by that the variances of summer and autumn precipitation become larger over time then it can make the probability distribution wider than before. 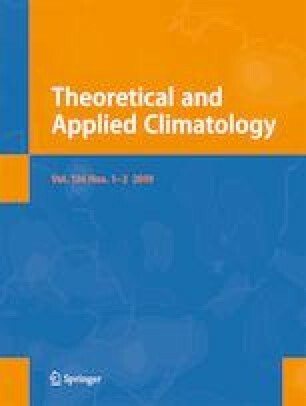 This implies that drought expressions by statistical index such as SPI can be distorted by stationary assumption and cautious approach is needed when deciding drought level considering climate changes. This work is supported by the “Research and Development for KMA Weather, Climate, and Earth system Services” of National Institute of Meteorological Sciences (NIMS).